I made a fabulous truffle recipe today from Green Kitchen Stories. It was for Rose Hip Chrismas Truffles. Well, its definitely not Christmas yet but they still seem perfect today! I ordered some Rose Hip powder from Amazon and was away! They are delightfully spicy - a real kick to them from the cayenne. They are sweetened only by the dried apricots. The rose hip powder has high levels of Vitamin C - they are in fact one the richest sources of Vitamin C available. 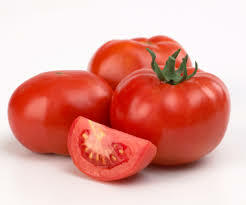 They also contain lycopene, flavonoids and are anti-inflammatory. All that in a yummy truffle with a kick! I only wish I had some rosehips to photograph them with - but alas - only roses as we are too efficient in dead-heading our roses! Process the nuts in the food processor to finely chop them. Then add the rest of the ingredients. Process for approx 1 minute until it forms into a ball and starts to stick together. Place the mixture in the fridge for 10 minutes. Remove the mixture from the fridge and divide into 1/2 tablespoon balls. Roll the balls in your hands, compacting the mixture as you roll. Roll the balls in the dusting mixture and then refrigerate for 20 minutes before serving. Get ready to wake up your taste buds! This is my new favorite soup! I love it. It's smooth and warming with a little kick. Today has been rainy, which is sooooooo unusual for Northern California at this time of year, so I decided to make some soup and feel all warm and cozy. 1. Begin by grinding the lentils into a powder/flour, using a coffee grinder or spice grinder. Put to one side. 4. Puree in a blender or food processor until smooth and creamy. 5. Serve sprinkled with hemp and pumpkin seeds. 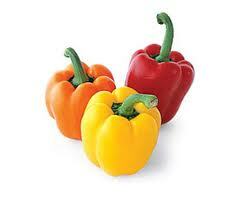 You can use just red peppers, but I like to use one red and one yellow - just coz they look pretty! 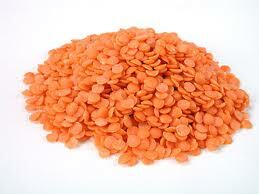 They are a good source of Vitamin C and also carotenoids. The lentils are used like flour, to thicken the soup. I'd never tried using ground lentils in a recipe - but grinding them first helps you achieve a smooth texture to the soup and they cook quickly. I can see myself using them to thicken lots of other dishes too. It's quick and easy to make. As the soup will be pureed, you don't have to spend a long time on chopping things finely, as the blender will do that. And the kick of cayenne (to your taste) gets your taste buds dancing! If you feel like you need to cozy up, give it a try. A healthy, warming, tasty soup.